U.S. remanufacturing produces more than $45 billion of remanufactured goods per year, supporting 180,000 full-time jobs. Missouri's southwestern corner is the nation's reman capital. Like the equipment it involves, the world of reman is straightforward and without pretension: It involves taking in costly pieces of equipment and components and completely cleaning, lubricating and rebuilding every single piece to the point of an end product that for all intents and purposes functions like a new one would, at a cost that can be from 20 percent to 40 percent less than new. The range of consumer products serviced by Springfield's reman cluster includes marine, automotive and large commercial equipment for the off-highway, agriculture, defense, construction, power generation, mining and trucking industries. Remanufactured equipment has to meet the same high standards for strength, integrity and precision as new equipment. As Case New Holland (CNH) explains, it's not recycling. It's not used. It's not repaired, refurbished or restored. It's reman. CNH has operated a robust reman operation in Springfield, Missouri — known as the reman capital of the United States — since 2009 through partnering with Springfield ReManufacturing Corp., now known as SRC Holdings. CNH adds about 600 products for CNH machinery every year and is now close to 4,000 total. A case study of its value shows the cost of a remanufactured New Holland 8970 tractor long block 7.5L 6-cyl engine to be $11,290 vs. a new engine costing $17,000 or more. Such savings make reman work. And Missouri works for the reman sector. Exhibit "A" is SRC Holdings, an employee-owned business whose open-book approach has led to the SRC story being told in more than 100 books. The company employs 1,500 associates across its 10 divisions, working in 2.2 million sq. ft. of manufacturing and warehouse space in Springfield. It's made the top 25 in Forbes' list of best small companies, and has spun off more than 60 business units. SRC continues to grow too: In May 2016, SRC Logistics, Inc., announced it was expanding within its Springfield facility, creating 50 new jobs and investing about $700,000. As recently as January 2017, it showed 58 job openings — all but one of them in Missouri. Reman firms in the region are supported by focused programs at Ozarks Technical Community College and Missouri State University, as well as a unique, year-long learning experience called Greater Ozarks Centers for Advanced Professional Studies (GO CAPS), which allows high school juniors and seniors to test drive future career options while embedded in partner businesses. GO CAPS is managed by the Springfield Area Chamber of Commerce and involves a consortium of 20 area school districts. Other reman operations in the southwestern corner of Missouri include John Deere Reman, Central States Industrial and Alliance Industries, which specializes in torque converters and transfer cases. But remanufacturers exist throughout the state. A 2012 study by researchers at Boston University reported more than 160 in Missouri. They include MCI Cores in St. Louis, one of the largest buyers and suppliers of used automotive parts in the world, with more than 1 million parts, and Sterling Bearing, a national firm headquartered in Kansas City since its founding in 1936, with a catalog of more than 500,000 engine parts for domestic, import, heavy duty, agricultural, industrial and marine. How promising is reman as a growth industry? In the era of sustainability and cost savings, very. MERA — The Remanufacturing Association (formally known as the Motor & Equipment Remanufacturers Association) is the remanufacturing and sustainability division of the Motor & Equipment Manufacturers Association. 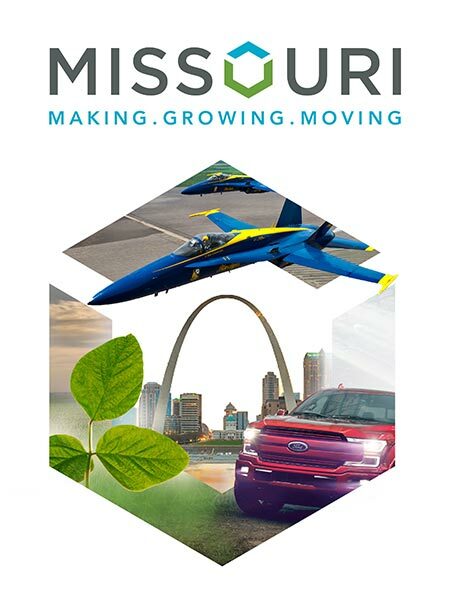 MERA in 2017 launched the new Manufactured Again Certification Program, now up to 22 companies with a queue of others lined up for approval, including firms in Missouri. David McGuire II, MERA's director of membership, says, "There is a favorable outlook for remanufacturing in this country," in part because of success convincing the federal government of its value: The "Vehicle Repair Cost Savings Act" signed into law in 2015 stipulates that federal agencies consider remanufacturing as a viable alternative to purchasing new parts and components. State governments have followed suit in Michigan, Massachusetts, California, New York, Tennessee and Florida. McGuire says MERA now is focused on lobbying for such legislation in other states, and "Missouri is a prime candidate." In the meantime, the nexus for core material — the raw material for reman — continues to be located in the central core of the United States, where Missouri's high-caliber manufacturing workforce continues to prove its mettle.